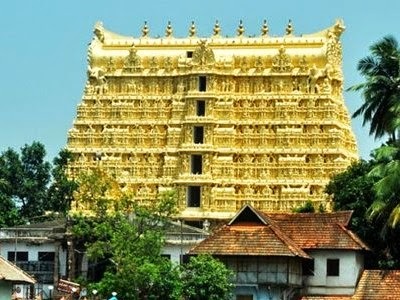 The best graduates from IITs and IIMs dream of the salary amicus curiae Gopal Subramaniam has recommended for head priests of Sree Padmanabhaswamy temple in Thiruvananthapuram. In his report to the Supreme Court on management of the temple, which shot into the limelight after wealth estimated at Rs 1 lakh crore was discovered, Subramaniam listed the hierarchy of priests with thantris at the top followed by periyanambi, panchakavyathunambi, thakkadam and thiruvambadi nambis. He said the thantris should be paid Rs 5 lakh per month. Starting with the thantris, the amicus said none of the four main priests reside within the temple complex. This is because their earnings from conducting rituals in the temple were meagre which forced them to perform rituals outside. He said their residential quarters too were in dilapidated condition. "It is submitted that an amount that is proportional to the stature of the thantris should be fixed by the temple authorities, preferably a sum of Rs 5 lakh per month, to be paid according to the directions of the (head) thantri," the report said. On their living quarters, the amicus said, "The temple authorities should suitably renovate the residences of thantris. The thantris should also be provided with two assistants (Brahmins) according to their choice who can cook, clean and follow the 'majhar'." Subramaniam said the salaries of the four periyanambis, the high priests who maintain celibacy during their tenure in the temple to perform archana and offer worship to the deity, was worse. "The salaries of nambis are very low, around Rs 12,500 per month and they are not entitled to emoluments being temporary staff," he said and provided a graded salary structure for them as per their status in the conduct of rituals in the temple. The amicus recommended to the apex court that "archana commission can be fixed at 7% after consultation with the temple authorities and the salary of the periyanambi should be around Rs 90,000 per month". "The panchakavyathunambi should be paid Rs 80,000 per month as salary while thakkadam and thiruvambadi nambis should receive Rs 60,000 per month," he said. Apart from steep hike in salary and renovation of their residential quarters, the amicus curiae recommended examination of the feasibility of having an adequate cooling system in the sanctum sanctorum. "If feasible, such a cooling system should be installed at the earliest. This will help in protecting the health of the nambis, protect the deity from harm and also ensure hygiene inside the temple," he said. The nambis should also be provided with security, he suggested. "The nambis are also concerned about their security as they feel news has spread that the keys to the kallaras (vaults where the wealth is stored) are kept with them. Consequently, the nambis believe that it has become dangerous for them to step out without police security," he said. Subramaniam said, "Security concerns of the priests should be addressed adequately. Policemen wearing traditional attire may accompany them."